After stops in Doha and Shanghai, the IAAF Diamond League moves to the USA for the famous Prefontaine Classic in Eugene on Saturday (30). As usual, the start lists are teeming with Olympians and world champions. 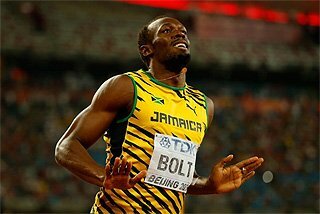 18 of the 22 featured events, including 16 IAAF Diamond League disciplines, include the world leader from 2014. Distance running remains the focus for many local fans but the field events include all of the world leaders from last year. 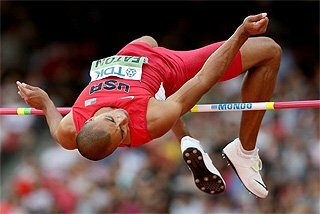 Foremost among them are pole vaulter Renaud Lavillenie and high jumper Mutaz Essa Barshim. Lavillenie was a late withdrawal from Doha and will look to regain the form that made him IAAF Athlete of the Year in 2014. Barshim won’t have his main rival Bogdan Bondarenko to jump against in Eugene, but there is plenty of competition for the Qatari in Saturday’s field. Ivan Ukhov, Derek Drouin and Andriy Protsenko all cleared 2.40m or higher last season. Last year was such a historic year for the high jump, so much so that many of their efforts were overshadowed by Barshim and Bondarenko. Barshim has already jumped 2.38m in Shanghai this year, as well as 2.41m indoors, and remains a constant threat to take down the world record in any competition. 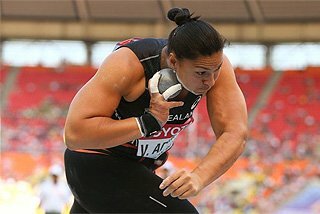 In the men’s shot put, being held along with two other IAAF Diamond League events and several top-class distance races on Friday night, world leader Joe Kovacs is joined by virtually every major contender in the event. Doha winner and two-time world champion David Storl, two-time Olympic champion Tomasz Majewski and the US trio of Reese Hoffa, Ryan Whiting and Christian Cantwell will all go through their paces under the lights. 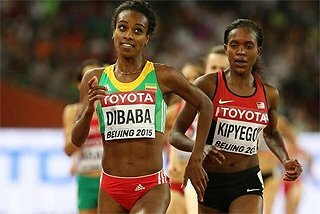 On Saturday, Genzebe Dibaba runs her first 5000m on the track since she set the world indoor record in February, which looked as though it could be the performance of the year in the 5000m until her Ethiopian compatriot Almaz Ayana ran 14:14.32 in Shanghai. Ayana isn’t racing in Eugene, but her time will serve as motivation for Dibaba in her attempt to creep closer to the world record of 14:11.15. If Dibaba struggles, expect the Kenyan pair of Viola Kibiwot, who was second to Ayana in Shanghai, or Vivian Cheruiyot to give chase. In the historic Bowerman Mile, the past three winners of the meeting are entered, including two-time world 1500m champion Asbel Kiprop. Last year’s Prefontaine Classic champion, and meeting record-holder, Ayanleh Souleiman of Djibouti is coming off a fast win over 800m in Doha and looks sharp while 2014 Diamond Race winner Silas Kiplagat already has one IAAF Diamond League win already in 2015, a 3:35.29 in Shangahi. Outside of those three, there are several others with the potential to win the race. 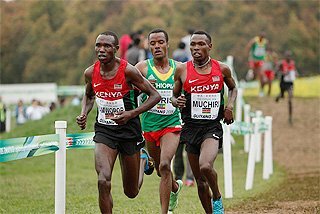 Ronald Kwemoi is the 1500m world junior record-holder and competed well against Souleiman and Kiprop in the past. The US hopes settle on Matthew Centrowitz and Leo Manzano. US women’s middle-distance running is riding high right now and two of the country’s best have a great shot at winning the women’s 1500m. 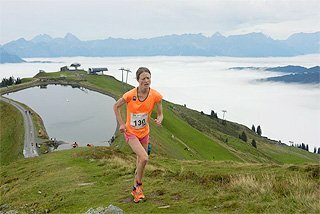 Jenny Simpson, the 2014 Diamond Race winner, and Shannon Rowbury lead the charge against a field that includes Sifan Hassan of the Netherlands. Hassan’s mark of 3:57.00 was the fastest in the world last year and she ran 4:01.40 for second in Doha. Simpson tuned up for this race with an 800m two weeks ago in Los Angeles and looked just as sharp as she did last season. The fields are just as star-studded in the sprints and hurdles. Allyson Felix is attempting her first individual 400m of the year after running a phenomenal 21.98 200m in Doha, the fastest in the world for almost three years. Fellow US sprinter Sanya Richards-Ross is the only woman to run faster than 50 seconds this year and, perhaps, has the edge in experience over one lap of the track. 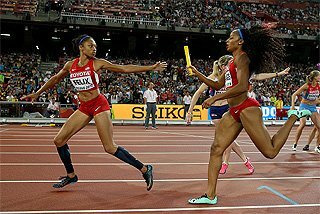 While a new rivalry might be forming in the women’s 400m with Felix and Richards-Ross, an old one will be revisited in the men’s race. Kirani James and Lashawn Merritt went all the way to the line last year, both men finishing in 43.97 with James getting the verdict. This year, James already has the two fastest times of 2015 and handled the field with ease in Shanghai. The wild card is Qatar’s Abdalelah Haroun. The 18-year-old jumped on to the scene during the indoor season and has already run under 45 seconds three times outdoors. Newcomer Elaine Thompson of Jamaica will face the toughest test of her career in the women’s 100m. The 22-year-old has been the revelation of the season in the sprints ever since she ran 10.92 in April. 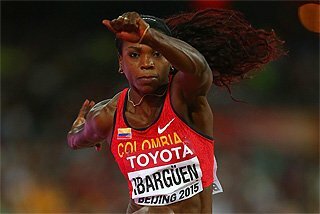 On Saturday, she faces a quality field that includes multiple global gold medallist Shelly-Ann Fraser-Pryce, Shanghai winner Blessing Okagbare-Ighoteguonor, Michelle Lee-Ahye and USA's Tori Bowie, Tianna Bartoletta and Carmelita Jeter. Another relatively new face will test himself against a tough field in the men’s 110m hurdles. Aleec Harris enters the meeting undefeated this year with several impressive wins, but David Oliver, the current world leader with a time of 13.15, and Pascal Martinot-Lagarde, who ran 12.95 last season in Monaco, should keep Harris under pressure for the entire race. The men’s 200m marks Justin Gatlin’s first race since running the 100m in 9.74 in Doha. 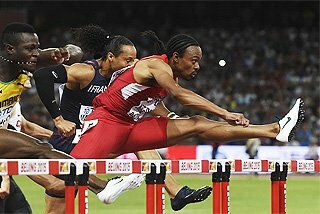 Shanghai winner Alonso Edward of Panama is also entered along with Jamaica’s Nickel Ashmeade and USA’s Curtis Mitchell. Friday evening’s events include what could be an exceptional men’s 10,000m, although this is not an IAAF Diamond League discipline. Double Olympic champion Mo Farah will take on a deep field that includes seven runners who have run faster than 27 minutes for the distance. 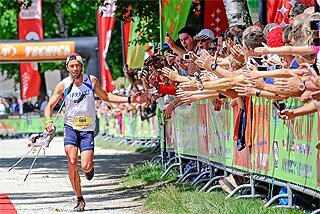 Farah set his personal best of 26:46.57 at this meeting in 2011, a race that heralded a run of five global championship gold medals. Despite the stellar times of the runners behind him, Farah’s best competition might come from someone who has yet to break 27 minutes. Geoffrey Kamworor finished tenth as a junior in the 2011 edition of this race. 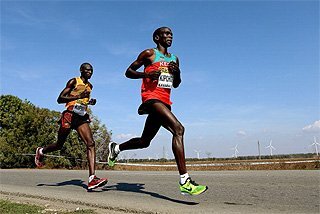 Since then, the Kenyan has improved dramatically and is the reigning world cross-country and world half-marathon champion. Also on Friday night, local star Galen Rupp will have the crowd behind him in the men’s 5000m. Last year at this meeting, Rupp set the US 10,000m record with 26:44.36, a time that was the fastest in the world last year. Kenyans Isiah Koech and Edwin Soi have strong IAAF Diamond League resumes and will be looking to rebound after finishing outside the top five in the 3000m in Doha. 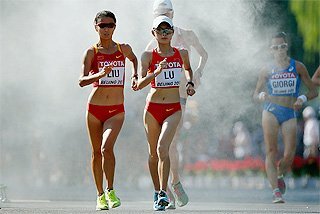 US veteran Bernard Lagat and Ethiopia’s 2011 world 10,000m champion Ibrahim Jeilan could also be a factor in what is expected to be a quick race.